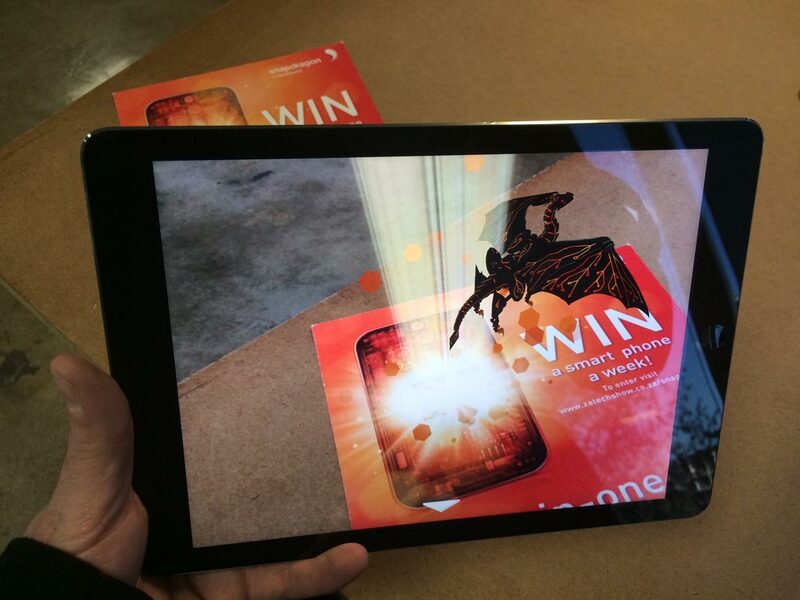 This prototype app was developed in collaboration with Intellilab, Qualcomm being Intellilab's client. 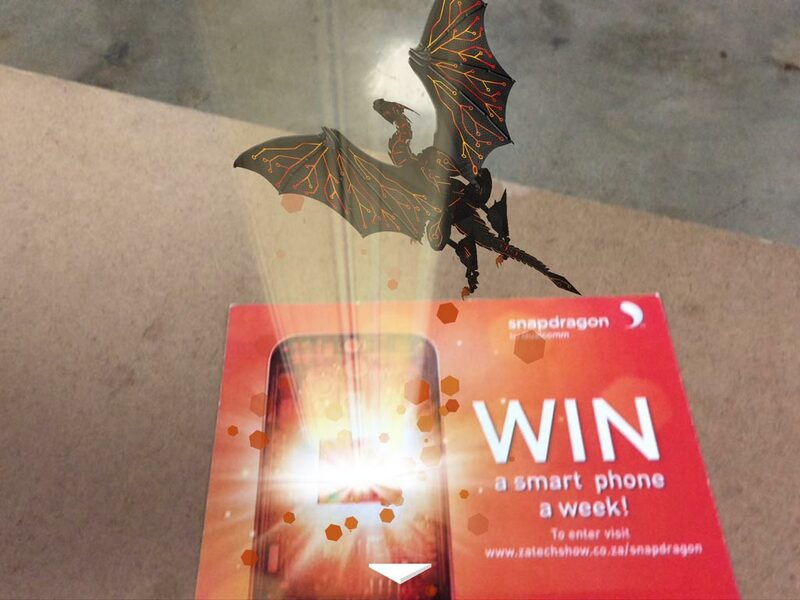 This version of the app shows a dragon that flies out of a printed mobile phone screen, spewing fiery Snapdragon icons. Tapping on those icons reveal key features of their latest Snapdragon mobile processors. 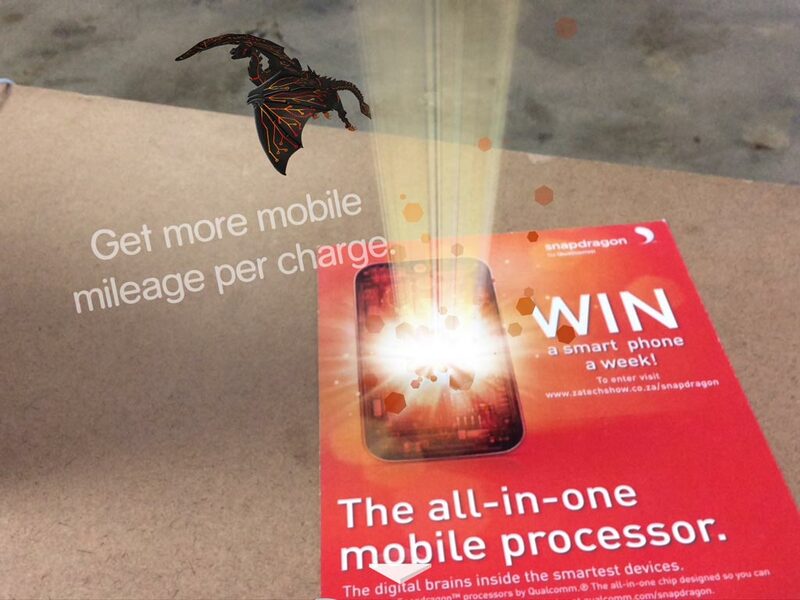 The final, commercial version of the app that was accepted by Qualcomm, has a flying Snapdragon processor in place of the dragon.